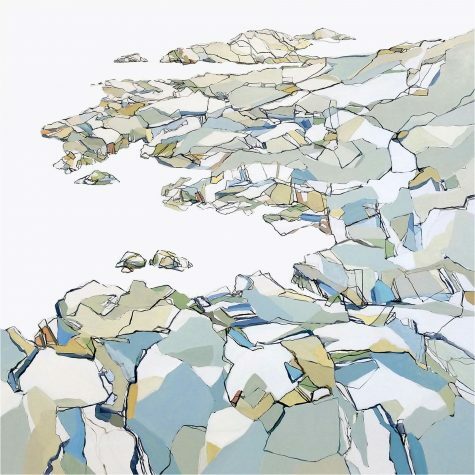 “This body of work is inspired by the profound quietude of nature. In my wanderings throughout Maine, a sense of timelessness, a stillness, seems ever-present in the landscape whether in the mountains, in the wilderness, or along the coast. My response to the magnificence of these settings is to interpret what is before me using pencil, pen, brush, and paint. “Working with a laptop and an Intuos tablet and stylus, I use four software programs to facilitate my abstracts. I start with a shape or a color, and then I build on it by painting with pixels on a digital canvas rather than with traditional materials. I started making my pieces this way 20 years ago because I could carry my “studio,” by which I mean my laptop, with me to our family business, an auto repair shop. “One of the few disciplines I have in my life is painting. Getting to work on time is just as important now as it was when I was teaching or driving boats. I have to get to the easel early. Sometimes the easel is in the studio, and sometimes it’s out on the coast, on the waterfront, or in a field. Once I’m working, it’s a lot easier to find inspiration. And I am very fortunate to be inspired regularly by my corner of Maine. 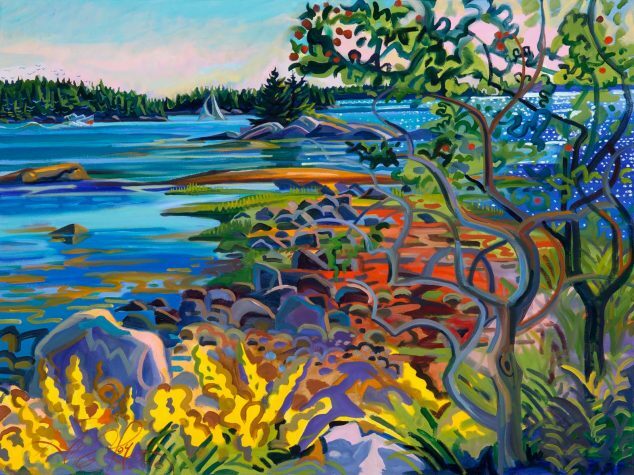 “I’m often trying to put down on canvas an idea that I’ve already envisioned. I can see what I want to paint in my mind, but I don’t know how exactly to collapse the distance between what I’m making and what I’ve imagined. Sometimes I surprise myself with something I never saw coming. A brushstroke or a color might just lead to a new idea. 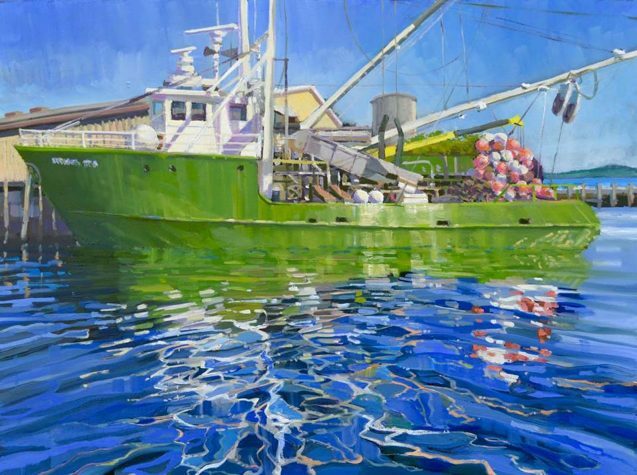 I want people to see beauty in my paintings, whether in the image of a sliver of the coast or that of a working boat. 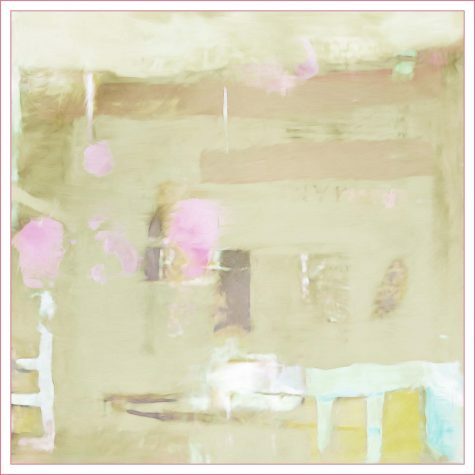 “My images have a painterly fluidity these days. While I am still a documentarian, interested in essence, in the soul of a place, my brushstrokes draw lyrically with paint. The mark floats over the color blocks and forms, integrating, defining, or levitating. These marks and color fields move rhythmically like music, reconfiguring as they are viewed over time. They were painted with the spontaneity that plein air painting affords, a certain out-of-body experience, becoming one with the environment, painting in response to it. Yet simultaneously there is all that accrued knowledge gathered over a lifetime that syncopates in that spontaneous state. 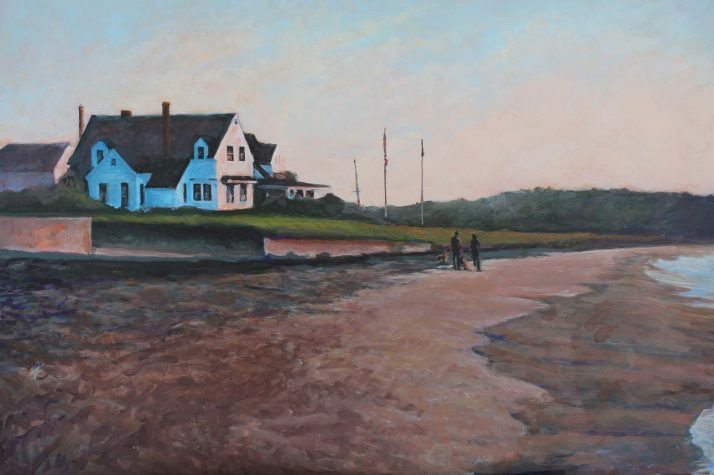 “There is so much about New England that inspires and informs my paintings. As a roamer of city and village streets and a hiker of rural trails, I find that there is no end to new subject matter in Maine. It’s in the endlessly changing land and the weather. It’s in the craggy lyricism of the landscape, the jagged, demanding coast. It’s in the white Colonial and Victorian houses that line the narrow village streets and the grand old barns and farmhouses along the rural roads, those lonely outposts that suggest hope and offer a defense against the relentless passage of time.